Most Americans want the minimum wage to be raised — 73 percent of them, including 50 percent of self-identified Republicans. But Big Business wants to fight an increase, and has enlisted its allies in Congress to block it. Last week, the Senate held a hearing on the minimum wage and a business owner testified that a wage hike may force businesses to fire workers. Sen. Elizabeth Warren (D-MA) deftly dismantled this talking point, pointing out that, for example, it would only cost McDonalds four cents more per meal to provide a $10.10 minimum wage to all of its workers. WARREN: During my Senate campaign, I ate a number 11 at McDonald’s many, many times a week. I know the price on that. $7.19. According to the data on the analysis of what would happen if we raised the minimum wage to $10.10 over three years, the price increase on that item would be about four cents. So instead of being $7.19 it would be $7.23. Are you telling me that’s unsustainable? BUSINESS OWNER DAVID RUTIGLIANO: Senator Warren, not all restaurants are created equal. I’m in a full service restaurant business. McDonalds has efficiencies and they operate completely differently than I do. I have many jobs, many jobs that pay well above minimum wage. We have a retirement plan. We offer health insurance to our salaried employees. So my business is a little different. I can’t raise a four cent price. I mean I don’t have, I don’t operate like a fast food restaurant. I would hope you appreciate the distinction. WARREN: I do appreciate the distinction and I’m not going to be in the business of being a McDonald’s representatives but they would talk about having some higher paid jobs and some opportunities for management and advancement as well. But I get your point, maybe it’s only four cents on $7.19. But if your entrees are $14.40 we’ll see how fast I can do the math — are you telling me you can’t raise your prices by eight cents? Elizabeth Warren has also been active on holding the Big Banks’ feet to the fire.Ai? 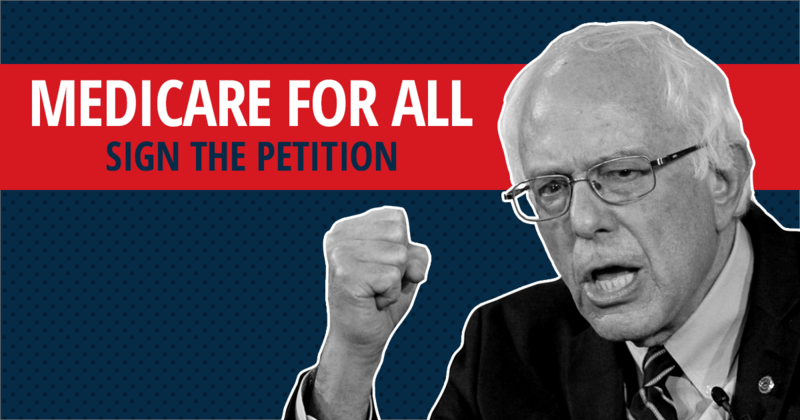 ?Click here to join Warren in demanding that federal regulators hold Wall Street accountable. You should follow BoldProgressives on Twitter here. 1) Double the Minimum Wage (puts the burden of “Market Maintenance” on the backs of the companies that live and die by the market – instead of the taxpayers), and tie it directly to inflation at the Fed, because every time the Fed prints money, corporate America raises prices. This is still Keynesian, but properly aligned with the corporate NEED to keep the “Free Market” viable (IMHO). NOTE: about 2% of corporations are not paying Minimum Wage, doubling it, would raise that to a projected 4% – while expanding the market by 30%. (Beyond Keynes). 2) Zero Corporate taxes (when the U.S. unemployment rate is 4.5% or below, BECAUSE we pay their taxes anyway as part of the “unit price”), We have done “Price Fixing” before, we need to insure that as their taxes go down so does their price. This brings companies from across the world to our door – exponential employment. 3) Fully reinstate Glass-Steagall! Reorganize Banking in accordance, tax Capital Gains at 80% until the age of 50, (keeping in mind that this is the cause of the “Fiat Dollars” printed by the fed that devalue our legal tender), people that live from dividends, are sapping the life out of the economy. Investments create ability, they do NOT create VALUE in the marketplace, in fact they REDUCE value. Keep in mind that during the 50’s, the highest tax rate was 91%. Investment still happened enough to create a booming middle class, and our nation flourished. So, work hard while you are young, and bask in the glory of your investments when you have retired (at the age of 50, which opens the door for younger folks entering the workforce). 4) Reduce income taxes to 25% (or less if possible – as this is where the budding investment money should come from) for wage earners at less than 150K. The reason for this is that the wage earners are the only place in our economy where value is actually added to our economy. Knowing this, one comes to realize that the wage earner (middle class) already pays for ALL taxes, subsidies, raw materials, maintenance, and on and on… as well as being essentially blocked from participation in the American market where wages are low (refer back to #1). Demand is driven by consumers with money in their pockets, consumers are workers that are well paid… any questions? Can’t or Won’t ! Is there an Oil and Gas Industry example ? Or are there no minimum wage jobs in this industry because they are already unemployed or working at Walmart. I don’t know of any oil or gas industry jobs that start at less than $10.00 an hour and if you prove yourself raises are fast. I live is south Louisiana oil country and there a many entry level jobs with companies that have good benefits. The problem with minimum wage is it ignores the reality that trading one’s labor for money is a transaction. The employer is a buyer who, like all buyers, wants to get their money’s worth. If the price is forced higher through legal means, the buyer still wants to get their money’s worth, so they, having full control over the terms of buying the labor, can adjust it to their benefit by simply increasing the job roles, firing the least productive workers, only hiring newly higher-productive workers, or if the forced increase is significant enough, automation and machines might in some cases now be cheaper than paying the minimum wage. The problem is that minimum wage laws pretend that government, rather than the buyer, has control. It forbids people from having jobs if they cannot find anyone willing to pay them the govt-mandated wage. In this sense, it is tyrannical, and every homeless person and vietnam vet on the sidewalk is a victim of minimum wage laws. But that’s too obvious for liberals. When you make something more expensive, there are fewer of them “sold.” The minimum wage law is the most anti-minority statute on the books. It prevents low skilled workers from getting a job. It’s fine once you’re working, but if you have no skills, you’ll never get hired at all. Liberals cannot explain how anyone is better off UNEMPLOYED from a $10/hr job than EMPLOYED at a $7/hr one. That’s not to say that raising the minimum wage is a very good solution either. It’s not a black and white issue. The minimum wage is important to have but isn’t without it’s problems. I don’t particularly like Senator Warren’s response here. McDonalds has a lot of customers all the time – some of them can have lines inside and at the drive through the entire time they’re open. If they need to pay all their workers a few more dollars, they can spread out that cost over a bunch of customers so that yeah, prices may only go up 4 cents. Not every business has that same luxury, though, in regards to what options they have for recouping that cost. I can agree with you except for one issue. If a business can’t afford to pay an employee enough to survive, including health care, then maybe that business needs to fail. Otherwise their business is being supported by government in the form of food stamps or emergency room visits because of no health insurance. If all there competitors had to pay the real cost of an employee, than it would be a level playing field. maybe there just isn’t a market for what they are selling and should move on? In a democracy the government is in control, not the corporation. than that employer needs to have it’s business license revoked for participating in un-american activity. Keeping wages down is bad for the well being of the country, and therefore un-american. to maintain the well being of the country. An employer can easly afford to pay an increesed minimum wage by putting a cap on executive pay. Cut the pay of the CEO, CFO ,COO , ect in half, re-distribute those millions of $ into the hands of those who actually earn their pay ( the workers). More people with extra spending money, = more people buying goods and services throughout the country, and that = a rise in business activity, growing economy. The problem Steve, in reality, a nation has to pay for the “basic needs of life” of it’s citizens. It does that with work or welfare. Got to be one of them, do you understand? I also wouldn’t want you to ignore the reality that Walmart’s employees are working and receiving welfare at the same time, they have to, because for some reason, Walmart doesn’t have to pay the real cost of doing business. What you have are businesses not negotiating in good faith, how can they, when they own politicians,have legions of lawyers and have near monopolies in some areas. Steve, I know how history is really annoying some times, all those facts, demonstrating what works and what doesn’t work, but looking at the hay-day of America, after WWII, we paid down huge debt, invested heavily into infrastructure, exploded the size of the middle class, had far more unions, business made good profit, (not obscene profit like today) and taxes were much, much higher. Why is it so hard for people to learn from the past? Her #11 entre is 7.19 and a 4 cent increase would be about .5% increase. So she’s saying you can pay for a 39% increase in costs by raising prices by .5%, so expenses affect product pricing at about the ratio of 80:1. If so, she’s stumbled upon the best kept business secret ever. This is the same woman who claims she’s an Indian and cannot produce one shred of evidence to that effect. Let her eat #11 until she’s scalped by a real Indian. Your statement would make sense IF each employee was responsible for precisely 1 product. Which is to say 1 employee (waitress or cook or whatever) were responsible for, on average, one item on the menu. However, any rational person would realize how absurd that is, expecially in the context of restaurants. The general approach by which Prof. Warren reached the “4 cents or 8 cents increase” is by taking into account the average productivity of a single employee, average wage of the employee and average price of one item of the menu. If you need further clarification than that then feel free to reply and I shall explain in a much more detail. Thank you for responding to Mr. Jack, I just wanted to add something. I have a 5 year old niece that would understand you can’t correlate 4 cent increase of a cup of limonaid to the percent increase in an hourly pay. We have a percentage of the population that has been convinced that the more educated you are, the less you know. This Jack guy clearly has limited math ability’s, but yet he doesn’t think twice about saying a university professor is full of crap. They live in a backwards world where if you want to become more knowledgeable, study less. Except a lot of the costs aren’t employee based. In fact, most of the cost’s aren’t low-level employee based. They sell a good not a service. So they have more costs than just employees. It would not surprise me that their lowlevel employees make up less than 1% of their costs. Not to mention, it is not raising every employees salary by 39%. Just those making minimum wage. You’re not going to raise James Skinner’s salary by 39%, that’d be nearly 5 million dollars! You’re just going to raise Jimmy the Frycook’s wages.